The epic HCT World Championship showdown will be happening in less than three weeks, and it just got revealed that fans will be able to meet and duel a bunch of professional Hearthstone players. These players will be from all over the world, and they include Fr0zen, Kolento, Orange, Pathra, Pavel, Purple, Seohyun628, Shaxy, and Surrender. CGMagazine has just interviewed Purple, who recently won the World Electronic Sports Games Tournament on the world stage. Along with getting to meet and duke it out with players like Purple, Hearthstone fans at the tournament location can also challenge other fans in an on-site street arcade. The prizes include Hearth card packs, as well as an iPad. To participate, fans will need to bring their own device and make sure they have their own network connection. For Hearthstone fans who would love some RNG fun, there will also be specially built Hearthstone claw machines at the Taipei City Heping Basketball Gymnasium. 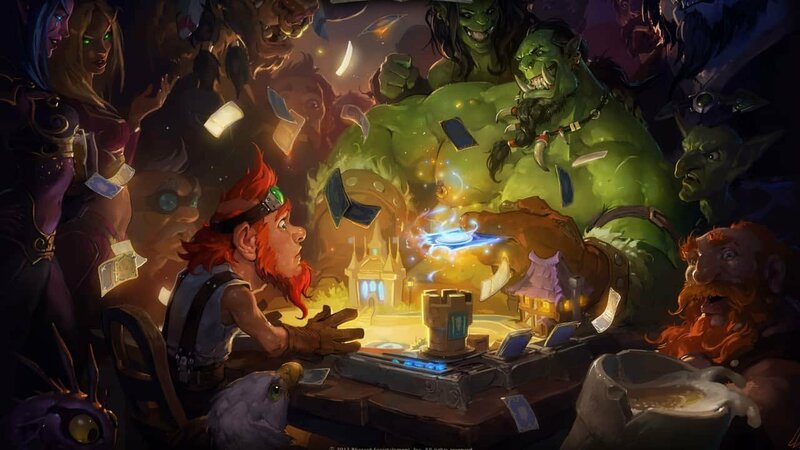 Other features of the location include a tavern full of Hearthstone-themed food and drinks, a showcase of the game’s artwork throughout the years, and the opportunity to meet members of the game’s development team. These team members include Hearthstone’s creative director Ben Thompson and game designer Dean Ayala. To attend and participate in all of these activities, fans must first get their hands on a day-of ticket. For fans who want to watch the live broadcast, it can be viewed on the official Hearthstone Twitch channel.